Getting a new puppy is equal parts exciting and terrifying. Whether you’re a first-time dog owner or a long-time pet lover, you now have a new best friend to take care of, and they’re relying on you to keep them healthy for many years to come. One question I always get asked is how much food do you feed a puppy. Every dog is different, after all, and how much feed puppy pals can eat differs, too. Because I know how tough it can be to feel confident in your feeding choices for your new puppy, I’m here to break down some of the most difficult questions that puppy owners face regarding how much to feed puppies. How Much Food Should You Feed A Puppy, In General? There is no set answer about 'how much to feed my puppy', but I can give you some general guidelines. The first thing to remember is that every food is different. Grain-free formulas give your dog more nutritional value, so you typically need to feed less of them than grain inclusive formulas. Start by looking at how much your puppy food recommends you feed your puppy. These let you know how much most puppies will need to eat according to their size. Depending on your pet’s metabolism, activity levels, and breed, you may need to add or decrease this if you notice that your puppy is not staying at their ideal weight. I recommend feeding your puppy three times a day until they are six months old. Split the total daily recommended amount into three portions throughout the day. This keeps their energy levels more consistent. If you have a large breed dog, you should feed them three times a day instead of two into their adult lives to prevent gastric problems. I’m Wondering How Much Food To Feed A Puppy Who Seems Chubby? Sticking to a general guideline given on the puppy food bag may not work for all puppies. Ideally, you should not be able to see your puppy’s ribs, but you should also be able to see that they have a noticeable waistline. You should also be able to feel their ribs through their sides. If your vet mentions that your dog is heavy for her size or age, or you cannot see her waistline, consider that she might be overeating. It’s not good to overfeed your dog. Adjust food amounts in very small quantities until you find the right amount. Try reducing the total amount of food you give your dog by ¼ cup at a time, over a few weeks, and see if that helps her weight problem. My Puppy Looks Too Skinny. I’m Feeding Her What The Bag Says To. Can I Feed Her More? The answer is yes, but only if you’re sure that your puppy is underweight! It can be hard to tell if a dog is underweight. Check the video above to a visual guide to checking this out. If you can see a dog’s ribs when they are just standing, they’re too skinny. Try getting them a food with higher nutritional value and caloric count, or increase the amount of food you are feeding them by ¼ cup amounts over time until you notice a healthier weight. Going for a grain-free puppy food may help them as well. Remember to make any adjustment to food amounts gradually so that your puppy adjusts. 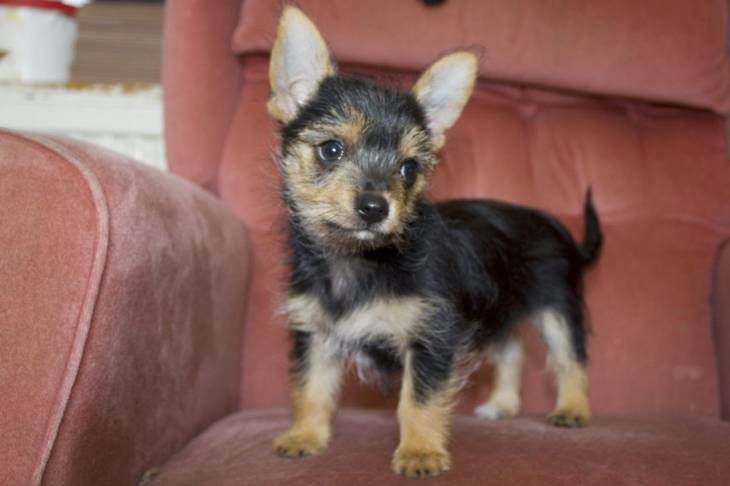 I’m Getting The Puppy Before She’s Even 8 Weeks Old. What Do I Do? Puppies should, unless avoidable, stay with their mothers until they are 6-8 weeks old. The mother’s milk will give them the best food you could ever find! If it’s not possible, there are milk replacers and bottles available. There is a lot of variation, but depending on the situation, you will want to consult with a vet and/or breeder you are getting the puppy from to find the best one for your puppy. I’m Rescuing A Mixed-Breed Puppy. I’m Not Sure How Much To Feed My Puppy. Start with a regular puppy food (match it to the size your dog seems to be, regardless of breed) that has limited, high-quality ingredients so you don’t upset their stomachs. Rescue puppies are just like any other puppy, so you will want to follow the instructions on the bag at first, and adjust from there! How Much Do You Feed A Puppy That Is A Large Or Giant Breed? Large or giant breed puppies are different from smaller breed puppies because they are more prone to getting joint and hip problems, and they need a different balance of protein and fat than other animals. Still, the main different in what to feed these puppies is not “how much” but “what type” of food. In regards to how much food they should get, my answers above all still apply! You will want to consider their size, age, activity level, and monitor how they handle different amounts of food to decide what to feed them. You will want to feed them food specially formulated for large breed puppies which will ensure they get the correct nutrients. From there, follow the instructions on the bag for feeding amounts, and use my advice in the above questions to adjust this amount until you find the perfect amount. My Puppy Has Loose Stool. Should I Feed Her Less Or More To Fix This? 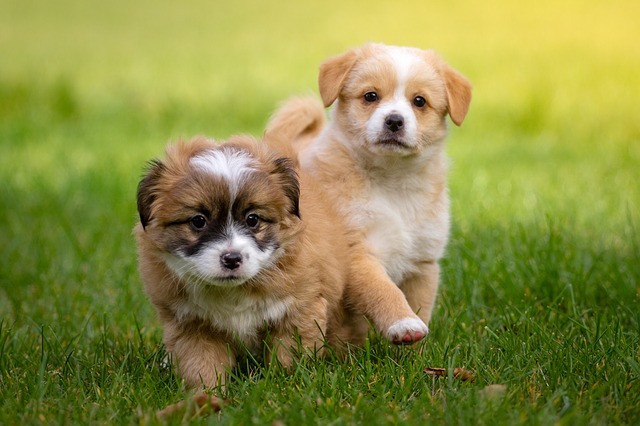 One reason some puppies get loose stool is because they are getting too many nutrients that their body cannot process, so it is, in a sense, going right through them. Try reducing the total amount of food you give them by ¼ or ½ cup and see if that helps. 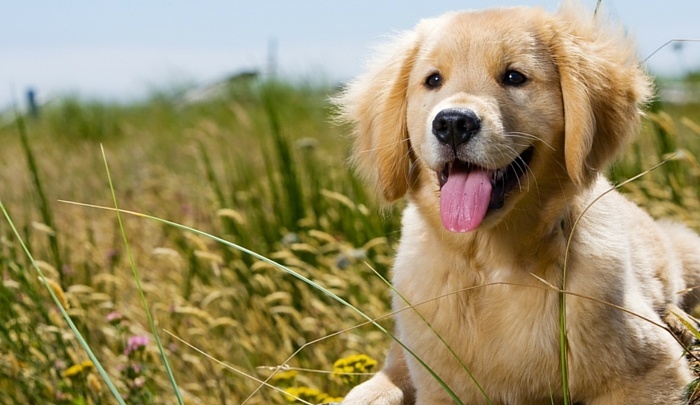 If it does not, your puppy may have a sensitive stomach or a food allergy. Move them to a single-protein source, grain-free puppy food. Try different protein sources until you find one that agrees with your puppy’s system. Remember: Your Puppy Is Special! 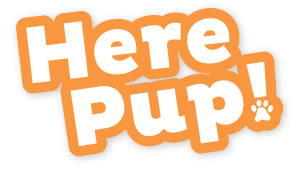 I hope that my answers to these common questions have helped you learn how much to feed a puppy like yours! Get started by feeding the recommended amounts of food on the bag, and adjust from there. It’s okay if your puppy ends up eating way more or way less than the bag amount as long as it works right for their system. Every puppy is special. Take the time to learn what your special puppy needs to each, and you’ll have a lifelong partner who is healthy & happy! Best Puppy Treats – Top Picks & Comparisons! What Is A Bully Stick And How Do They Benefit Dogs? 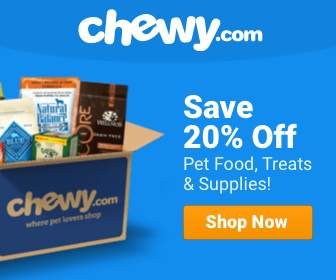 Best Dog Treat Reviews – Top Picks & Comparisons! Old Mother Hubbard Dog Treats Reviews, Recalls & Ingredients! Zukes Dog Treats Reviews, Ratings, Recalls & Ingredients! The Best Bully Sticks Review – Ratings & Ingredients!